Quavious Keyate Marshall, popularly known by his stage name Quavo, is an American rapper, singer, songwriter and record producer. He’s a member of the hip-hop group Migos, along with family members Offset and Takeoff. Migos have worked with many best selling artists, including DJ Khaled and Post Malone, and have had four hit singles featured on the Billboard Hot 100. 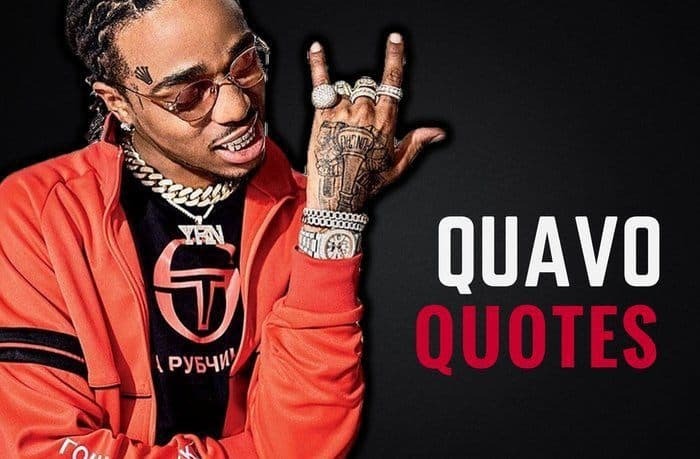 Thanks for viewing this collection of the best Quavo quotes! Don’t forget to share them on social media by using the buttons below. Which are your favorite Quavo quotes? Leave a comment below.